Having a nice office layout will increase our spirit of working. We can make our home office as comfortable as possible by having our favorite office design, high-quality office furniture, and mesmerizing office wallpaper. We also can decorate our office as we wish. We can put a cactus or other indoor plants on our desk to make the air in our space clean. You may wonder which wallpaper that suitable for your office. You do not want to ruin the office mood by choosing the wrong wallpaper. 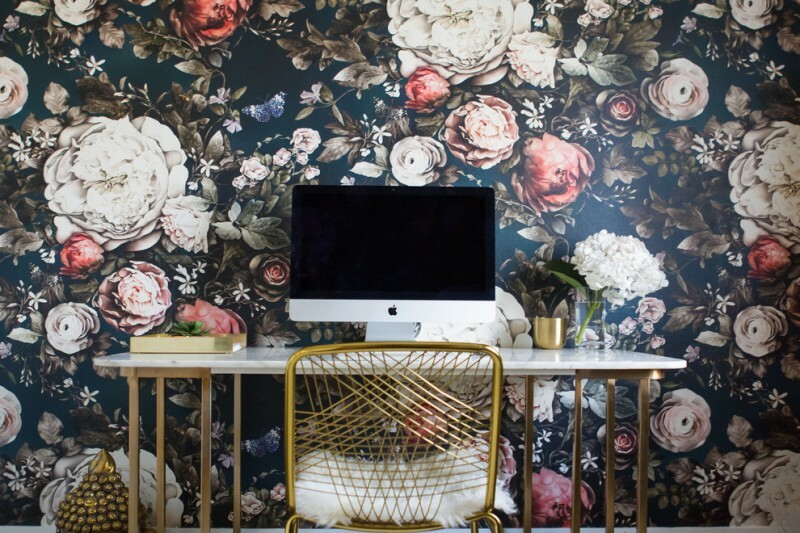 Here are some admirable office wallpaper ideas that you can apply in your office wall. This wallpaper is called textured brick or faux textures brick wallpaper. It fits perfectly on the wooden floor and the simple and modern office furniture. A simple elegant office can be adorned with this bright patterned wallpaper behind the office chair. While the other wall, you can make have the neutral color painting. 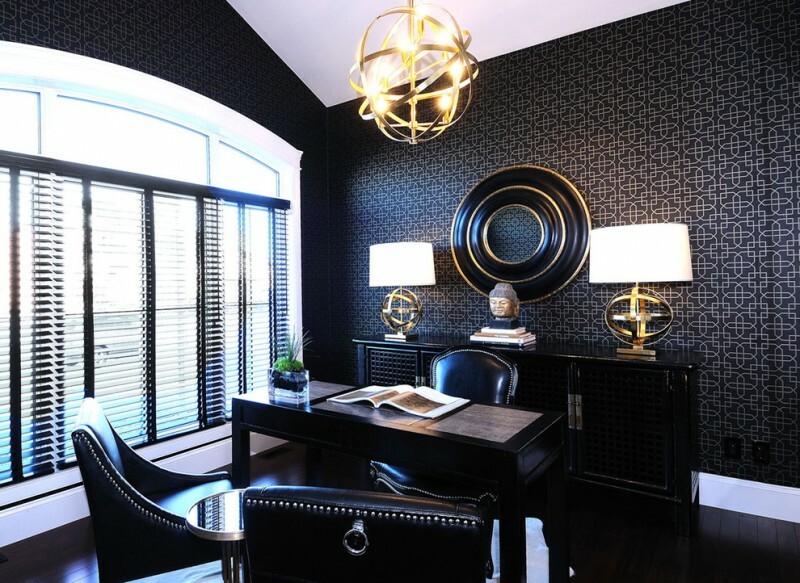 This black elegant office has a trendy freestanding desk, black leather chairs, Lucy pendant by Robert Abbey, and Lucy table lamps. For more sophisticating light, you may need wide glass windows with blinds. 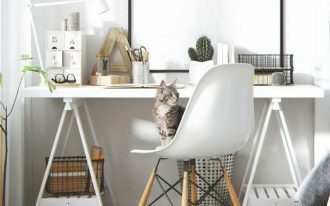 A unique and stunning office wallpaper will go well with you who likes the creative working style. 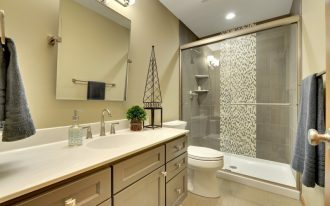 This wallpaper is Ellie Cashman Designs, Summer Squall. It goes well with the mid-sized trendy freestanding desk. 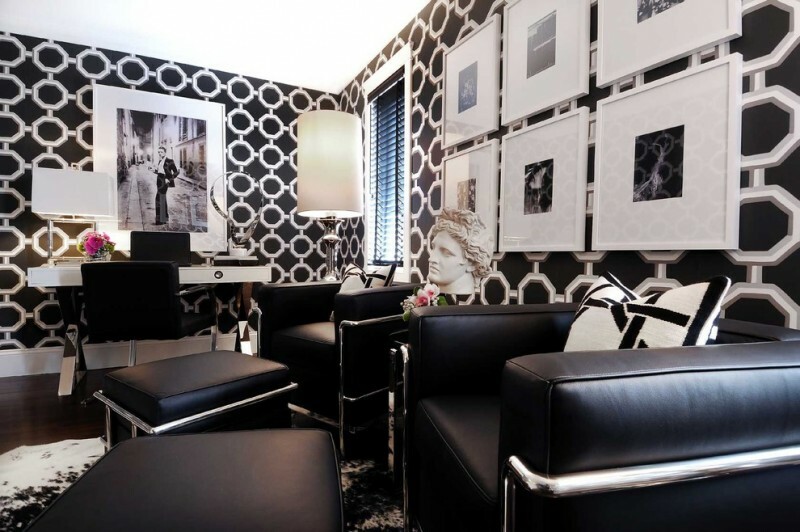 A black and white office has its artistic charm. You can balance the color or come with basically all white with a touch of black. You should choose this color scheme instead of getting confused with the messy color scheme. 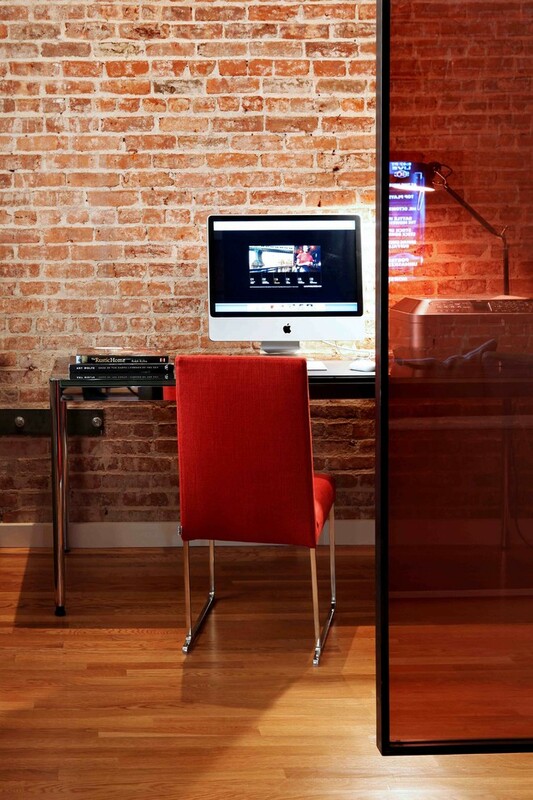 Installing a grasscloth wallpaper can add an art to this small office. 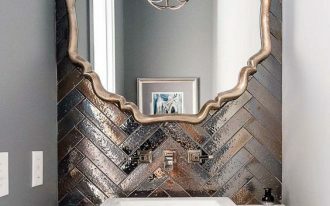 The walls will show visual because it might not be different if touched but it looks textural. It is also suitable for a white custom desk with many storages and white office chair. 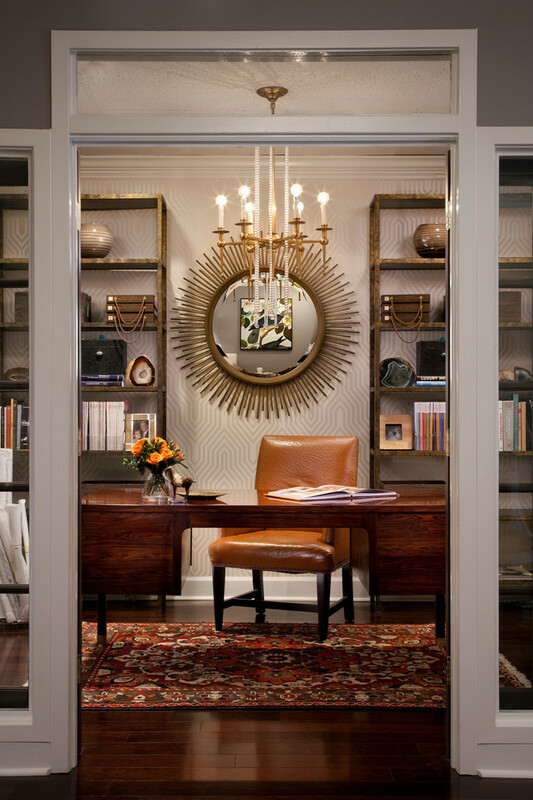 This pretty home office features a Barbara Barry desk, Robert Allen ottoman, the charcoal wallpaper. The blue velvet and silver silk combine to bring glamour to this home office for a fashionable lady. You can have a glam office with zebra chair, white office table, hot pink chairs, hot pink valance, black curtains, beautiful chandelier, patterned wallpaper, and black trims. The pink and black combination is an energizing combo for a lady’s office. 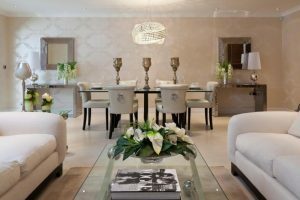 This classic office features silver and clear table, office chair, built-in shelves, mirrored side table, table lamp, Bolsover large silver Venetian mirror, and a fireplace. To decorate this office, the intricate wallpaper and a modern pansies 1 art are placed behind the office chair. This wallpaper from Osborne & Little has pretty graphics for a home office. This office features an eclectic freestanding desk, a leather chair, dark wood floor, sunburst mirror, brass and glass chandelier, dark wood floor, patterned rug, and two wooden bookshelves.